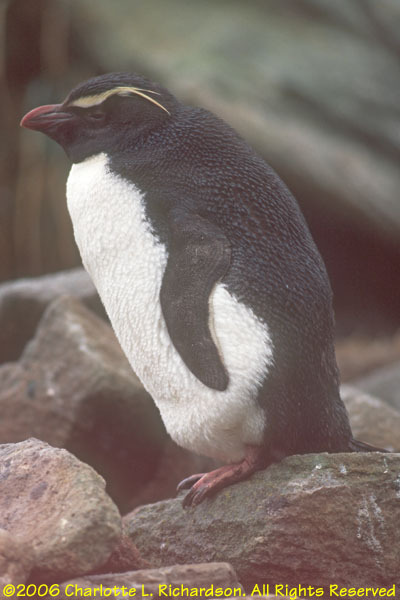 The Falkland Islands are 490 kilometers east of the mainland of South America and about 1200 kilometers north of Antarctica. 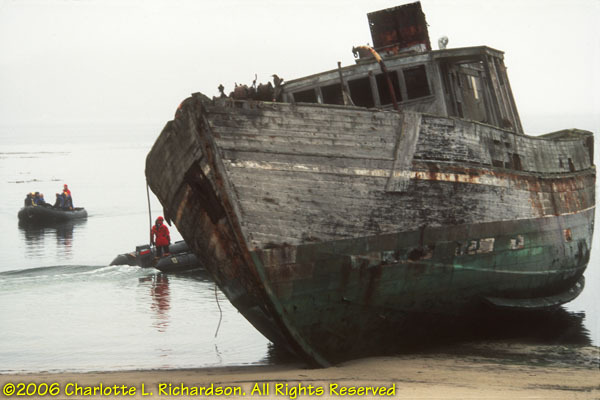 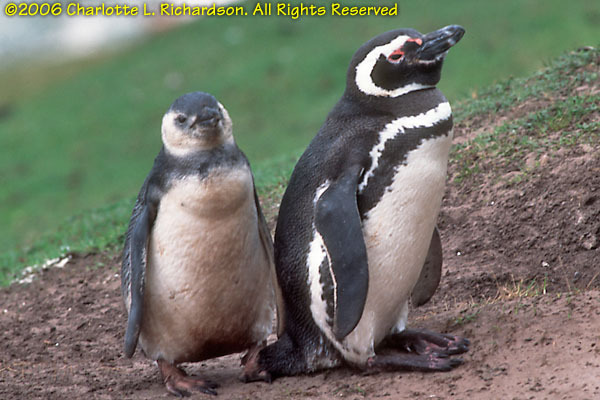 There are two main islands, East and West Falkand, and several hundred smaller islands. 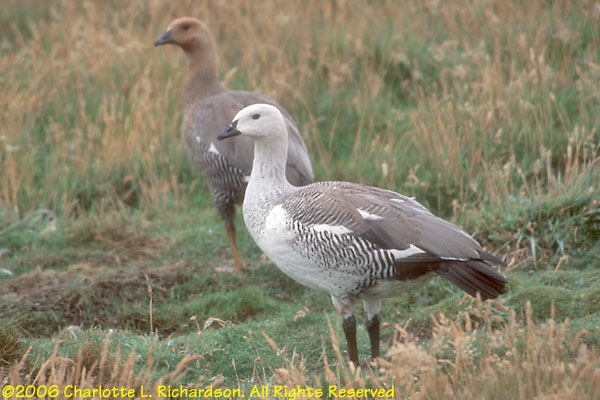 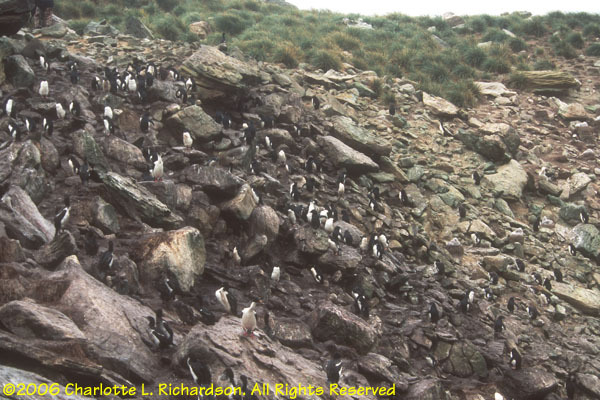 The better wildlife sites are on the small islands off the west side of West Falkland. 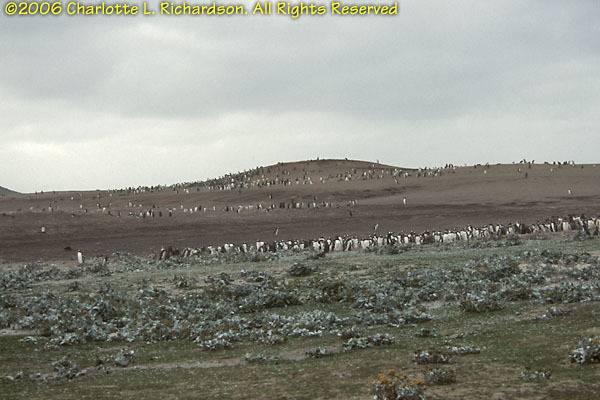 New Island is the westernmost inhabited island in the Falklands. 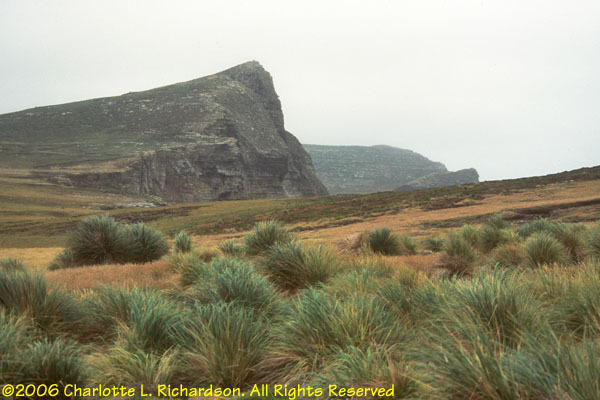 Tussock grass grows on the Falklands, but there are no trees, due to the high winds. 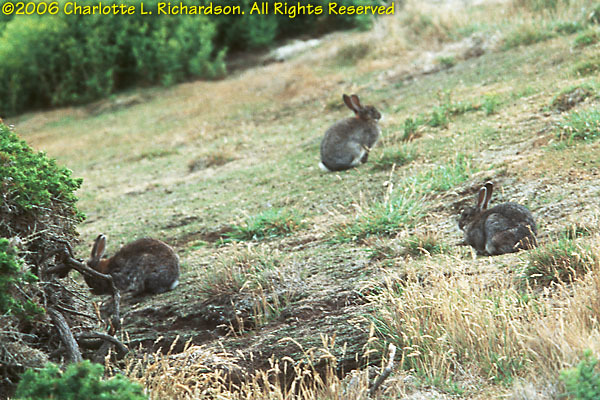 Introducing rabbits to the Falklands was not a great idea - they multiply fast, eat everything, and have few enemies. 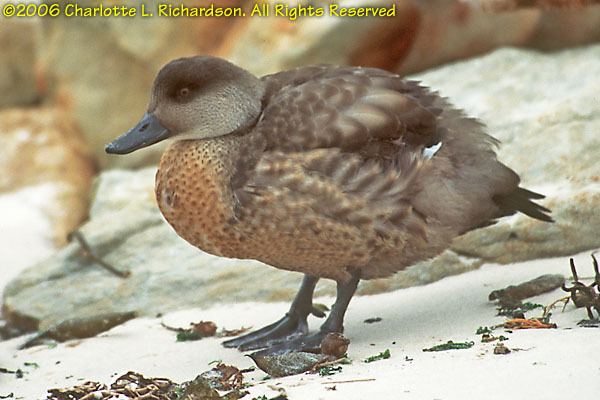 Ducks and geese wander along the landing beach. 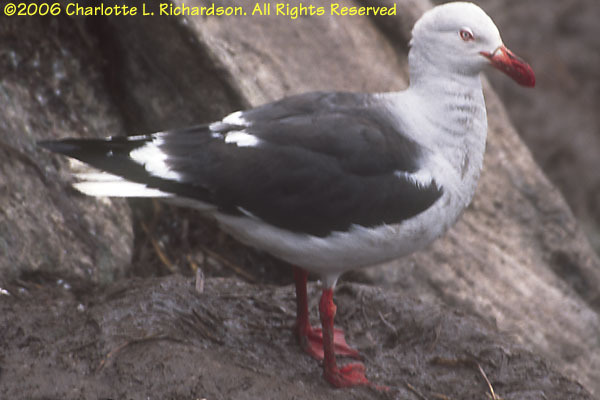 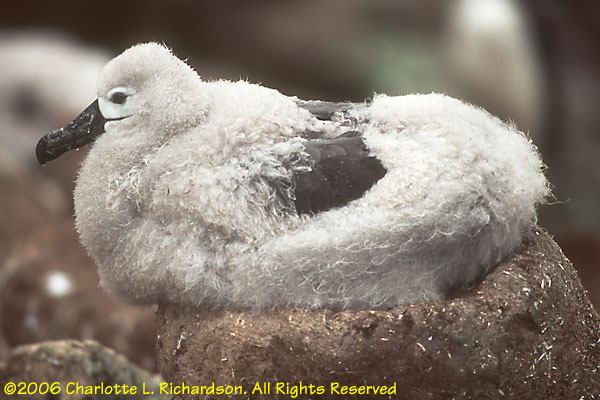 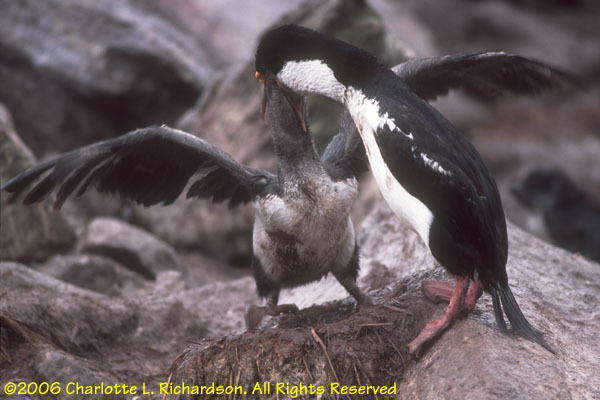 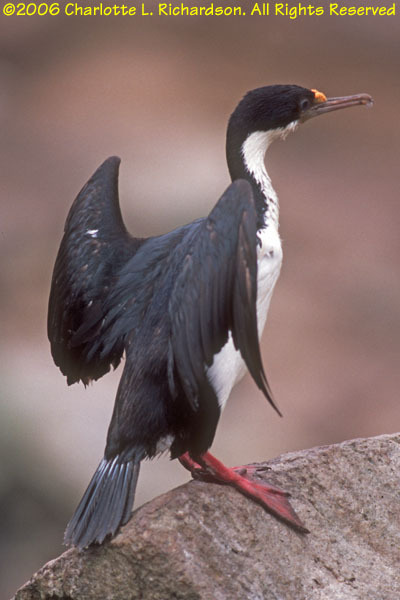 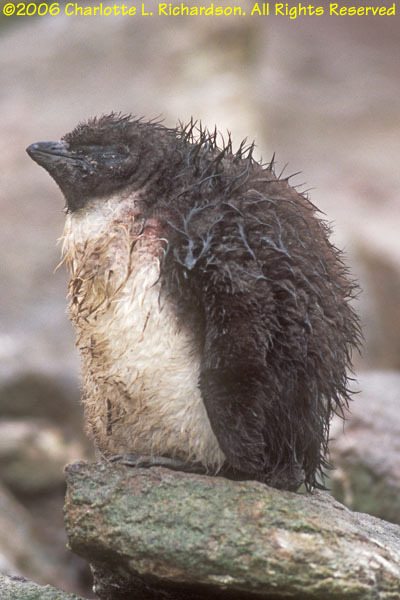 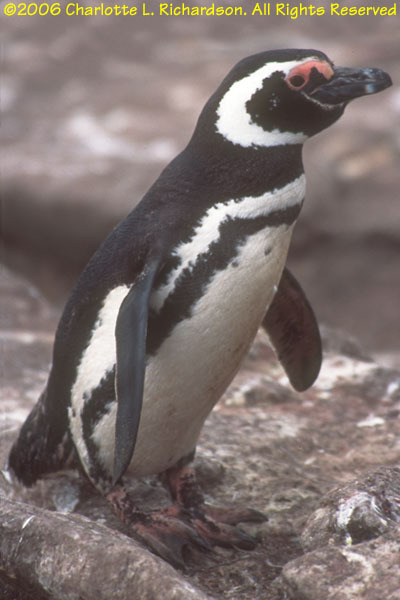 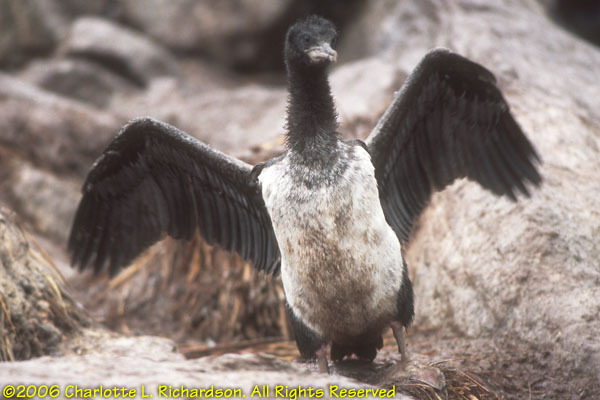 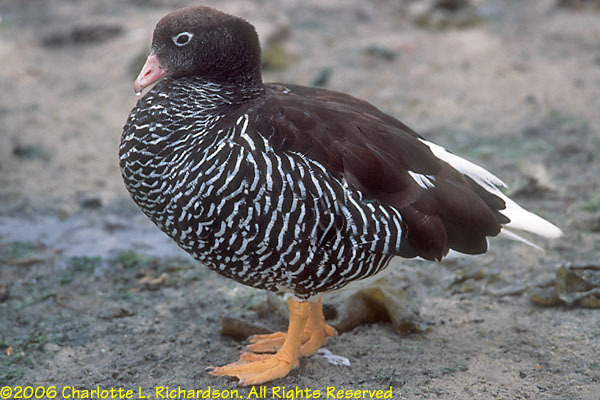 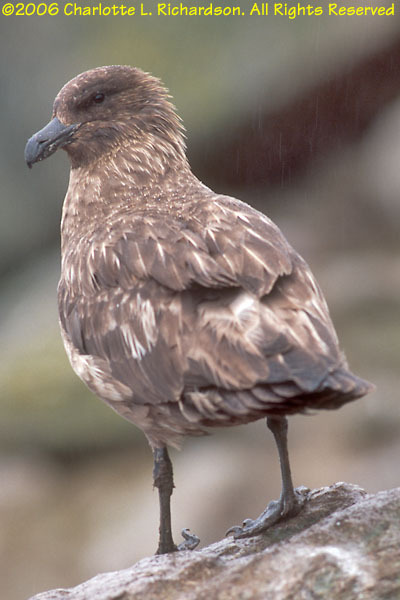 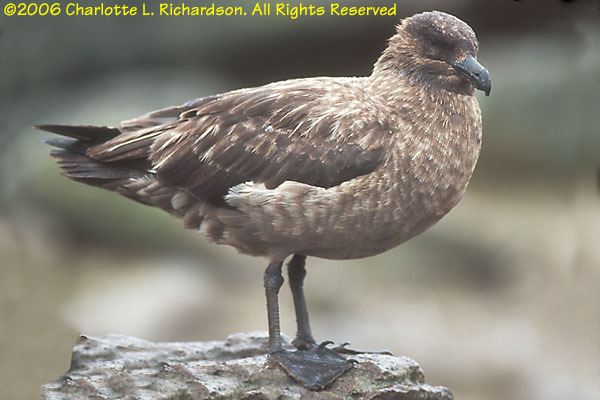 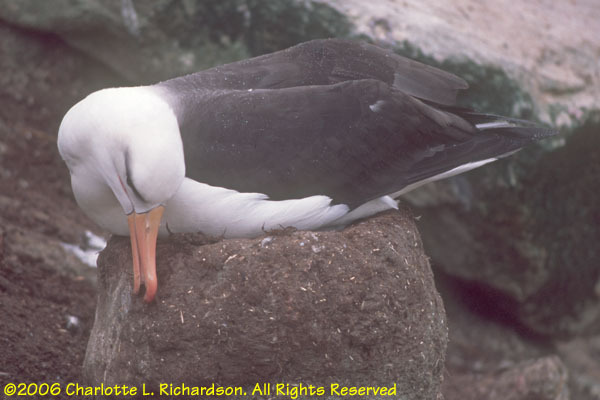 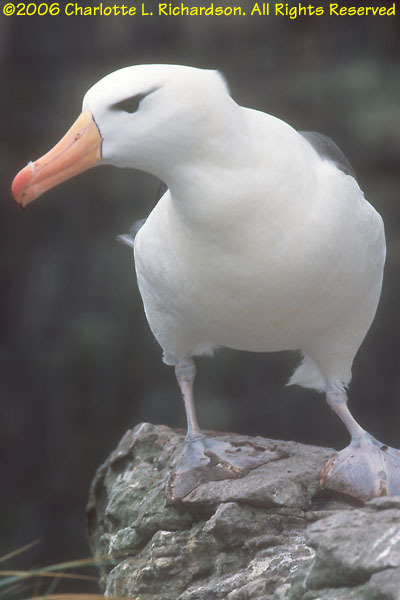 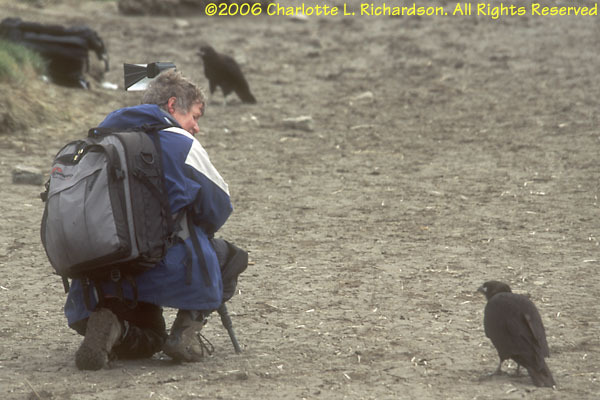 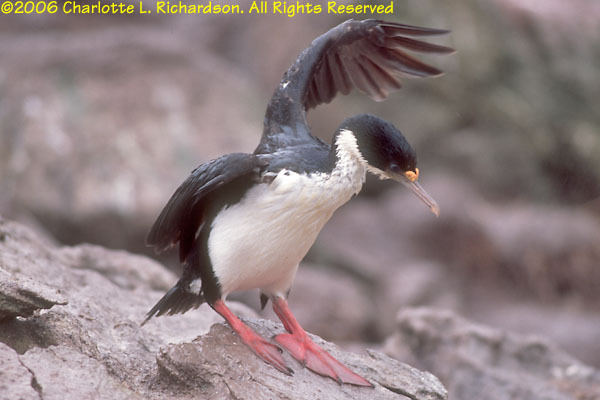 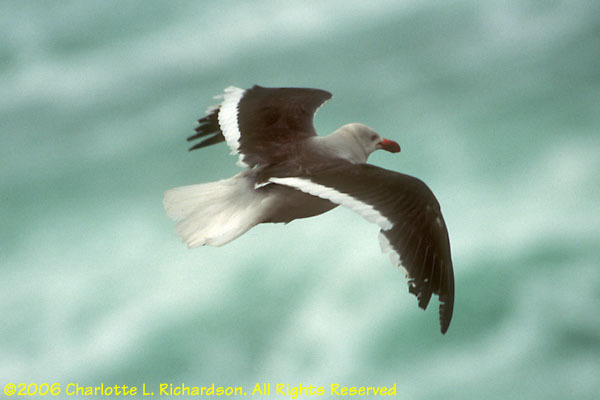 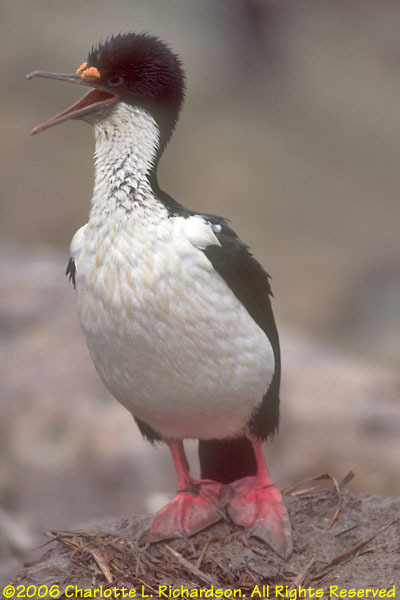 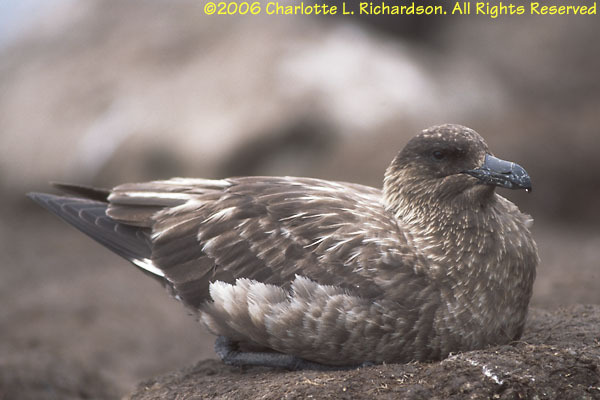 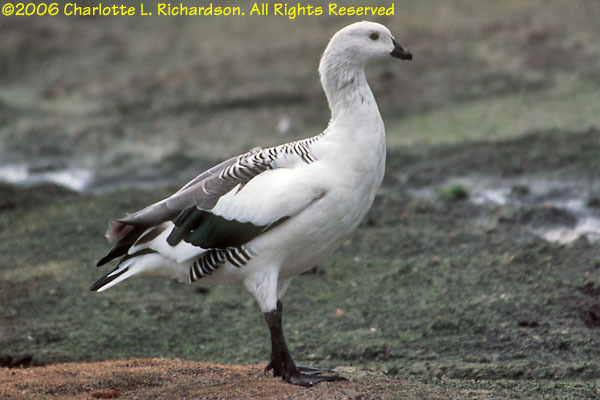 The bird colony hosts rockhopper penguins, blue-eyed shags (cormorants), black-browed albatrosses, and predators: kelp gulls, Falklands skuas, and hawk-like striated caracaras, which the local people call "johnny rooks". 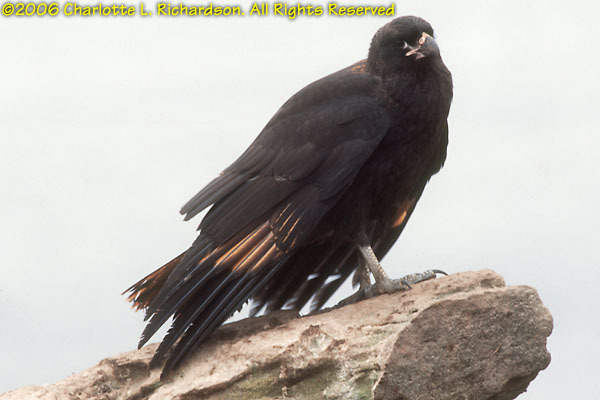 The caracaras are fearless and mischievous. 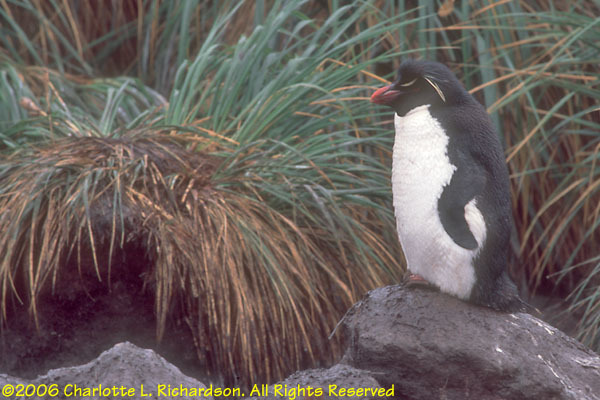 Rare Magellanic penguins nest in burrows in the sheep pastures on Saunders Island and are common here. 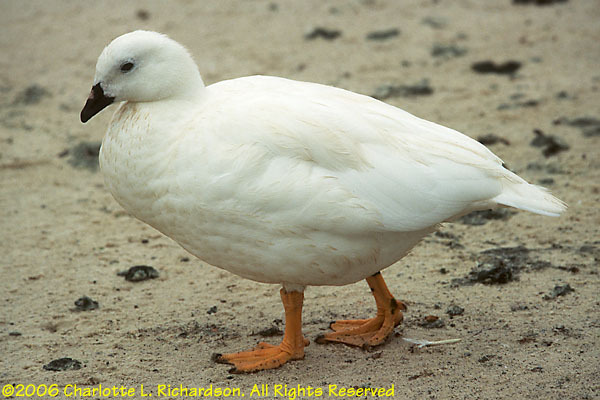 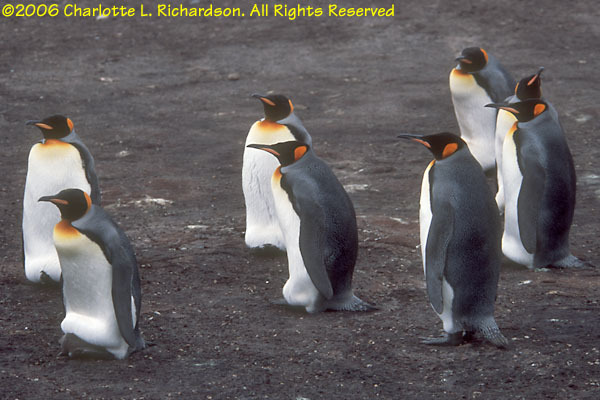 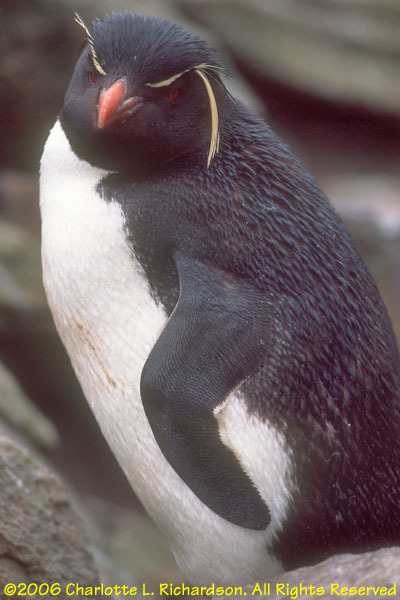 There are also rockhopper penguins, gentoo penguins, and a small colony of king penguins, as well as geese.